Deep Matter on Radio 1 Dance Anthems & Kiss FM last weekend. Andre Salmon's excellent Techno stomper out on Beatport now! OUT NOW - The Kingpin EP! 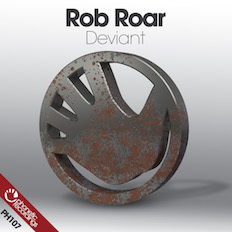 OUT NOW - Following Rob Roar's Chart Topping Beatport Album, Phonetic are proud to present the new single 'Deviant'. The follow up Album to last years DMC Magazine "The Best Ibiza Album of 2014". 'Deviant' was given to the Ibiza's DJ's mid season and fast became a firm favourite on the white Island Dancefloors. ENJOY.